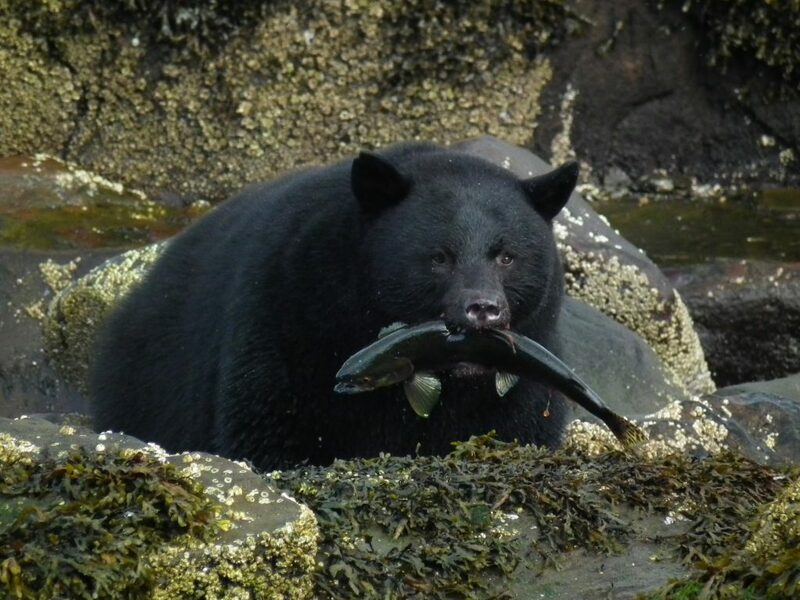 Port Hardy is located in prime bear habitat with high occurrence of natural and non-natural bear attractants. Black bears predominately inhabit the area surrounding Port Hardy although as evidence by the destruction of one grizzly bear on the Gwa’sala-‘Nakwaxda’xw First Nations Reserve in 2001 and one in the Sayward Valley in 2006, grizzly bears continue to be sighted in the North Island area. “To date, there is no evidence to support an established population of grizzly bears on Vancouver Island”(pers. comm. Tony Hamilton, 2009). The Conservation Officer Service Animal/Human Attack Reports reveal two non-fatal black bear attacks within the District of Port Hardy, one in September 2002 and one in June 2005. On Aug 23, 2016, a 10-year old girl was attacked by a food conditioned female black bear near a rural trailhead in the outlying area of the City of Port Coquitlam. These incidents along with others in the Province identify the need for all residents to recognize that any unsecured garbage, compost, bird feeders, fruit trees, pet foods and domesticated livestock are bear attractants and are one of the main causes of human-bear conflicts in communities. Since August 14, several concerned residents of Port Hardy have reported bear activity in the areas of Seaview Drive and Thunderbird Way. This bear or bears have been gaining access to fallen and unpicked ripened fruit and of course, garbage. Given that these concerned residents reported this bear activity to the Conservation Officer Service, we can now proactively work together to fix the problem before it gets out of control. When you report encounters with dangerous wildlife, it may NOT result in the removal of the animal, in fact, if reported soon enough, Conservation Officers, municipal workers and community volunteers can often change human behavior before it results in the removal of the animal. Support your local government with their endeavor to become an official Bear Smart Community. Remember, it takes the entire community to make change. Now that we know the bears are in town, we can do something about it! Don’t wait until it’s too late – clean up your bear attractants and be proactive by reporting bear activity in your community. Information provided by Crystal McMillan, Executive Director, Bear Smart BC Consulting.